In any discussion of the effects of economic sanctions it should be clear that sanctions are potentially harmful or costly to not only the target nation, but also the sanctioning countries. The potential harm will be dependent on the degree of substitution in trade and capital markets, i.e., on “fungibility.” Even if sanctions impose harm on the target nation they may not alter the policy which motivated the sanctions. Some have argued that sanctions might even backfire because they can serve to increase support for the regime if the population “rallies around the flag.” Therefore, the effectiveness of sanctions as an instrument to invoke change is constrained by the openness of the international goods and capital markets, as well as by the political markets in both the sanctioning and target nations. Consequently, any analysis of the effectiveness and usefulness of the U.S. embargo on Cuba should take these factors into account. This paper aims to do so by extending a model by Kaempfer and Lowenberg (1988) to account for transnational responses which results in a country being in both an internal and external political equilibrium. This is developed by applying this more generalized model to the case of U.S. sanctions towards Cuba. I argue that the embargo against Cuba is ineffective because it cannot be sufficiently tight to cause political change in Cuba. For example, even though Cuba has been denied access to U.S. capital markets for three decades it still is one of the most heavily indebted countries in Latin America. It is estimated that at the end of 1995, Cuba owed $10.5 billion in hard-currency debt. Of this total, $4.5 billion was owed to the Paris Club comprised of official government creditors, $2.9 billion to the London Club composed of commercial bank creditors and $2.4 billion in the form of trade credits. It should be noted that these figures would be much higher if not for the fact that Cuba has not paid on its debt obligations for the past 10 years and as a result has not been borrowing in the international capital markets. In addition to these figures, which support the fact that Cuba has had ample access to world capital markets during the period of the U.S. embargo, we must note that Cuba’s debt to the former Soviet Union (assumed by Russia) has been estimated to be in the range of $6 to $34 billion. In fact, if embargoes or sanctions were an effective tool in reducing the income of rulers or citizens of a country we should observe that historically countries would invest in “sanction preventing” measures or some type of “insurance” to protect against the harm from these. 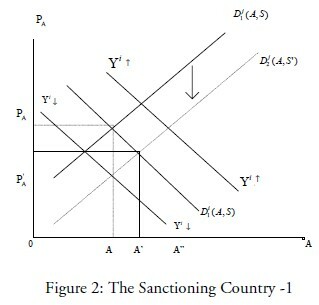 The reason that there is no need to do so is because if sanctions increase the damage to the economy of the sanctioned country, the willingness to pay by individuals in the country for the scarcer commodities increases and therefore, creates an incentive on the part of other sovereign countries to not participate in the sanctions. In other words, sanctions create rents and these rents induce other nations to circumvent the sanctions and supply the target country with the scarcer commodities. As they supply the target country, these rents are dissipated and the previous harm is reduced. In the short run, it requires tighter and more costly measures by the sanctioning leader to continue to impose harm, but this again increases the target country’s willingness to pay and potential rents that other nations can capture. Eventually, the political market imposes a level of sanctions which has little effect and are just purely for the domestic consumption of political groups who receive utility from the sanctions per se. These sanctions will have no relationship to the level of sanctions required to influence the “offending” policy of the target country. In other words, the level of sanctions a country imposes is not related in any systematic way to some “optimal” level. Although for concreteness we concentrate on Cuba, an analysis of the influence that lobbies have on foreign policy in general is straightforward using the framework presented. This influence by pressure groups is readily seen in the U.S. policy towards Haiti (the Congressional Black Caucus playing a dominant role), Ireland and Israel. In order to illustrate how the level of sanctions towards Cuba is established, several groups in the U.S. affected by sanctions on Cuba are highlighted. The first group is the organized Cuban-American community which is denoted by O. The most powerful of these political lobbies is the Cuban-American National Foundation. This lobby is reminiscent of the China lobby of the 1950’s which blocked changes in the United States’ China policy until President Nixon’s opening towards China. The second group is the unorganized Cuban-American community, U. Note that the Cuban-American population is less then 4/10 of one percent of the U.S. population which implies that its electoral influence outside of Florida is very small. The third are business groups, both domestic and foreign subsidiaries, who are in favor of sanctions (because they benefit) and which are denoted by B, and finally a group opposed to sanctions (because they lose or they ideologically support the regime), denoted by C. This latter group can be viewed as consumers of the products from Cuba who now are forced to pay a higher price for Cuban imports (e.g., cigars) or vacations and supporters who share the ideology of the regime. 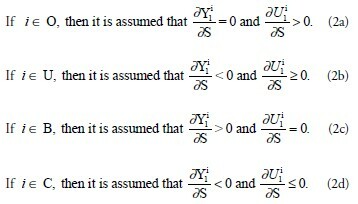 where Y denotes income, S the level of sanctions, A the level of the offending policy of the “sanctioned” nation, the subscript denotes country 1, and individual i is a member of group O, U, B, or C.
I allow for some individuals to value sanctions on “moral” grounds and therefore their utility function is dependent on S directly. It is important to note that the Cold War environment helped increase the political support for sanctions. The reason is that the opposition’s influence was diluted by groups who argued that the policy towards Cuba helped contain Soviet influence in Latin America and Cuba’s promotion of revolution in the hemisphere. With the end of the Cold War, this group’s argument that Cuba poses a threat to national security is no longer considered very plausible. 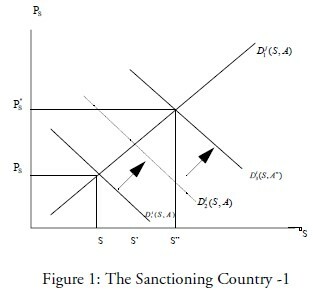 Equating the demand for sanctions to the supply of opposition against sanctions leads to the political equilibrium level of sanctions in country 1. This is shown graphically in Figure 1. We depict this equilibrium at a level of sanctions of S where the initial demand for sanctions is D1. where the subscript denotes an individual who is a member of country 2. The basic conclusion from the application of this model to Cuba is that sanctions, including the embargo, have no relationship to some optimal policy which would lead the regime to open up the political process. In fact, it has been shown that the opposite effect can actually occur, i.e., the regime becomes more recalcitrant. I have not introduced a third country (the rest of the world) but doing so would strengthen this result further. This reinforcement comes from the fact that if the U.S. embargo raised rents, other countries have a strong incentive to not participate in the embargo and attempt to capture these rents, thereby rendering the embargo ineffective. The fact that we find no other nations participating in the embargo and continuing to have good relationships with Cuba is in fact a sign of the benefits they receive from the U.S. unilateral policy. Therefore, any request from the U.S. to other world nations to participate in the embargo will not be heeded. Furthermore, the failures of multinational embargoes in provoking change in Haiti and Iraq leaves little optimism that this policy instrument is effective. 1. 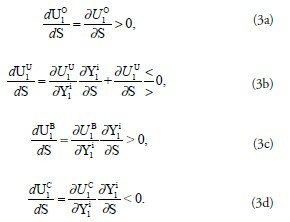 In order to simplify the notation, it is assumed that some individuals have preferences over S, but more directly we should introduce as an argument the level of utility of certain groups on the island towards whom they feel an affinity. 2. 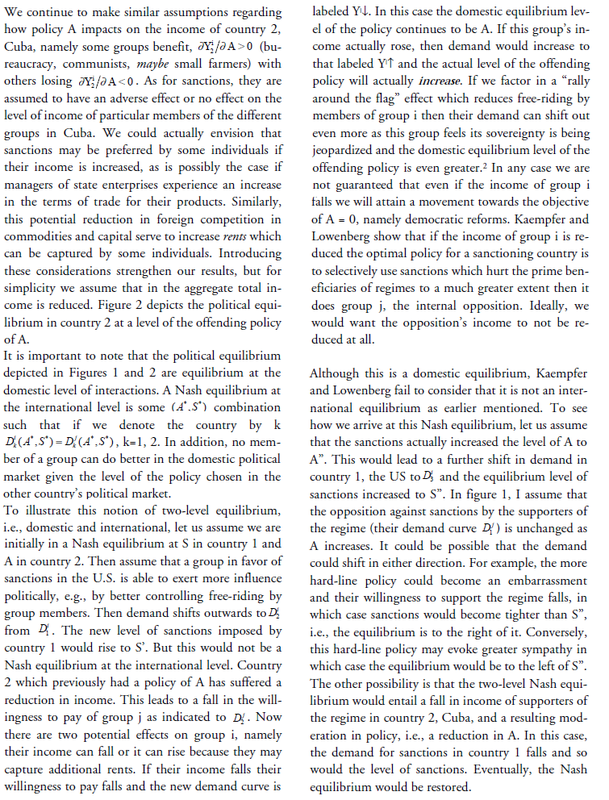 Kaempfer and Lowenberg (1988) introduce a political effectiveness function, E, which is a function of S into the demand functions of each group, i.e., into PA and PS to incorporate this effect.